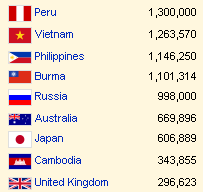 Do you know whats the population of Overseas Chinese? Overseas Chinese are people of Chinese birth or descent who live outside the Greater China region. While China has in excess of 1.35 billion in population, the total number of overseas chinese comes in at an estimated 40 million. 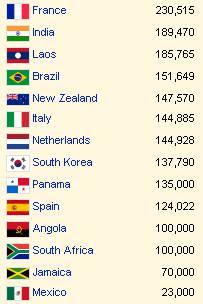 Thats more population that many small to mid size countries. 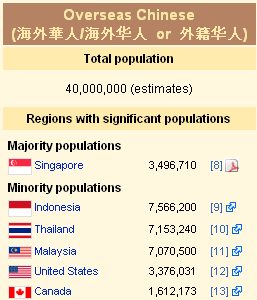 Except for Singapore where overseas chinese makes up the majority, most of the others are minorities.